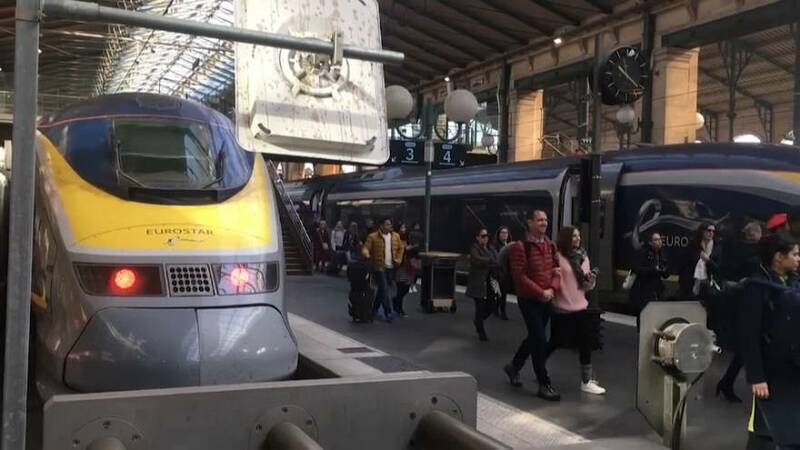 Eurostar has put itself on track to continue high-speed train services between England and France in the case of a no-deal Brexit. The operator previously only had a British licence, which allowed it — with the UK in the European Union — to use rail infrastructure elsewhere in the bloc. But Eurostar's permission to operate in France and other EU countries would be rescinded in the case of Britain leaving the EU without a deal agreed. That is why earlier this year the company created a new French subsidiary, which was yesterday granted a licence to operate in France. France's ministry of ecological and solidarity transition gave Eurostar the green light but said the licence "does not entitle, in itself, access to the railway infrastructure which is governed by the regulations applicable to each country of the European Union". Meanwhile, industrial action continued to cause delays and long queues for passengers at Gare du Nord railway station in Paris on Thursday. Customs officials are demanding higher pay but they’re not on strike. They will only perform duties that are listed in their contract. The industrial action is expected to continue until the end of the month. The Eurostar website said the situation is returning back to normal but it may take longer than usual to get through departures in the French capital.